In the last tutorial we saw basics of Spring cloud config and how to use cloud config with file system backend. Following tutorial will show how to use Cloud config server with Git backend. By default Spring Cloud Config uses a Git backend, that means on the config server side, we don't have to activate any profile. where gitLocation can be local (e.g. file:///D:/example-app-config) or remote (e.g. http://example-git-config-repo). At the specified location we need to add property files and commit them to Git before the clients can access them. test.msg=How is your coding going? $ git commit -m "adding props"
Or run the main class from IDE. How is your coding going? 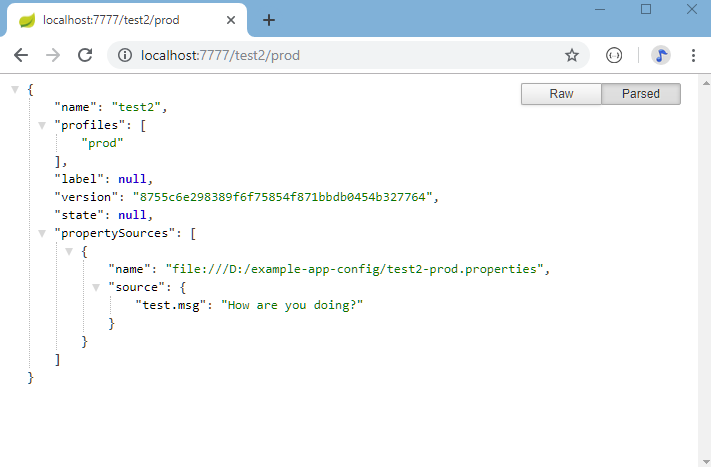 spring-cloud-config-client 2.0.2.RELEASE: This project is a Spring configuration client.